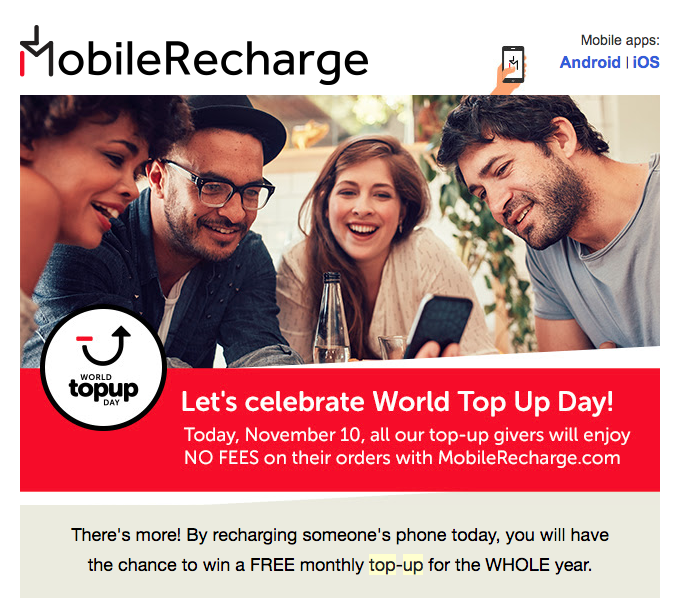 World Top Up Day is here again, and MobileRecharge.com has planned something even bigger than everyone could ever imagine. World Top Up Day is a day set aside to celebrate Top-up givers across the globe and this powerful event is celebrated every 10th of November and it is proudly sponsored by Expat’s No. 1 platform for Top-up – MobileRecharge.com. 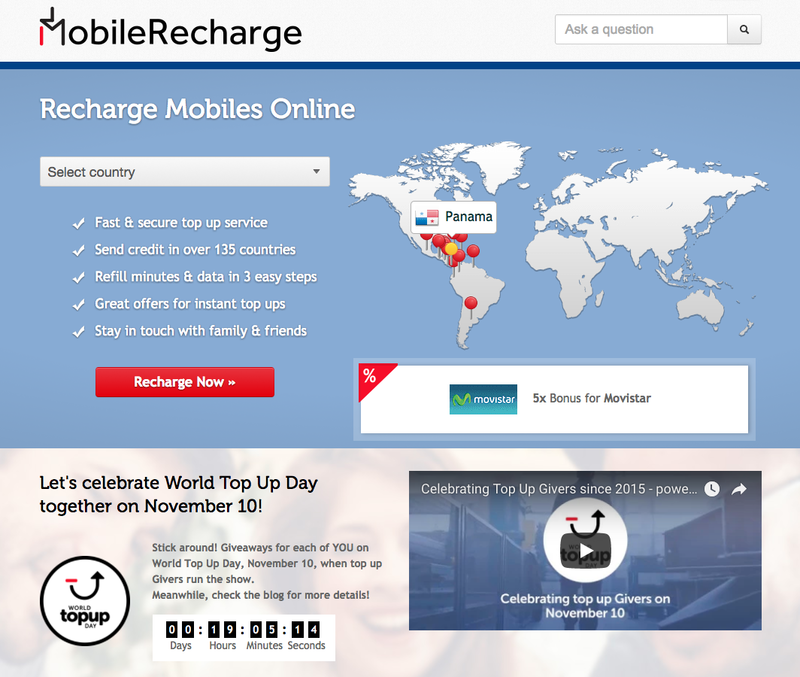 The Top Up service on MobileRecharge.com enables mobile credit transfers in seconds to any mobile network in the World. This year’s event is meant to celebrate givers in a grand style with the theme, “Any Job is MORE THAN A JOB. We are all Givers in what we do for others”. Three Winners will be selected, each of these Winners gets one year Free top up, every month for 12 Months. Each prize consists of a free top up of maximum $20 once a month for 12 consecutive months, starting November 2017. That’s what I call Awesome! How do I Join the contest to become one of the Winners in this event? Well, it is very simple. There is a website contest on November 10, 2017 (World Top Up Day) which consists of all orders made on that day. Yes! All orders made on the 10th of November 2017. This website contest is powered by MobileRecharge.com so all you need to do is log on to www.mobilerecharge.com to make a successful order to stand a chance of becoming one of the winners. Every approved order by 23:59 EST the same day (November 10, 2017) is automatically enrolled in the contest. In order to increase your chances of winning one of these 3 awesome giveaways, simply make many orders as possible. However, only one prize per winner will be awarded. The 3 Winners will be randomly picked on November 13, 2017, from all the orders placed via the website on the World Top Up Day. Don’t forget that Entry is opened to all Expats regardless of their residence country. So, keep sharing and who knows? You might be the lucky Winner.